they had always been there. I had missed it for a long time. pumping in my veins towards my heart. how we come, how we go. 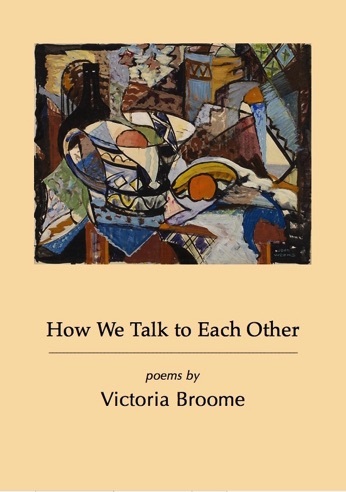 Victoria Broome has been published in various journals and anthologies. She was awarded the CNZ Louis Johnson Bursary in 2005, and in 2008 and 2009 attended the Hagley Writers Institute. She has twice been placed highly commended in the Kathleen Grattan Award (2010 and 2015). How We Talk to Each Other is her first collection.